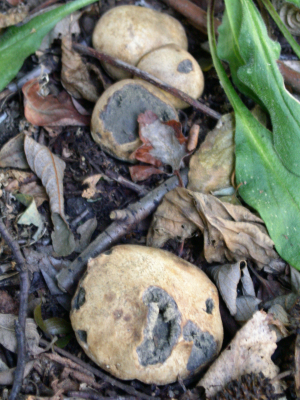 Observation - Common Earthball - UK and Ireland. Description: A few seen grouped. Open to see the spores inside. A few seen grouped. Open to see the spores inside.